Kenji Bunch uses his work as a composer and performer to look for commonalities between musical traditions, for understandings that transcend cultural or generational barriers, and for empathic connections with his listeners. Mr. Bunch draws on vernacular musical traditions, an interest in history, the natural world, and his classical training to create new concert music with a unique personal vocabulary. After nearly three decades as a professional musician whose work has been performed by over fifty American orchestras, by chamber musicians on six continents, and has been recorded numerous times, he considers his mission to be the search for and celebration of shared emotional truths about the human experience. During the 2016-17 season, Mr. Bunch’s work was commissioned and premiered by the Seattle Symphony, the Oregon Symphony, the Lark Quartet, the Eugene Ballet, The Peter Britt Festival, and 45th Parallel, with whom he serves as Composer in Residence. A graduate of the Juilliard School, where he studied viola with Toby Appel and in composition with Robert Beaser, Mr. Bunch left New York City after 22 memorable years to return to his native Portland, Oregon, where he lives with his wife, concert pianist Monica Ohuchi, their two children, and their rescued pitbull mix, Coffee. 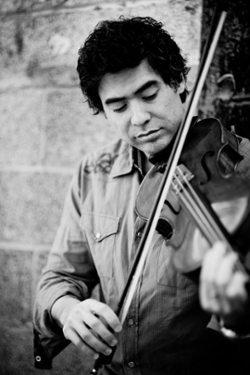 He currently serves as Artistic Director of new music group Fear No Music, and teaches viola, composition, and music theory at Portland State University, Reed College, and for the Portland Youth Philharmonic.